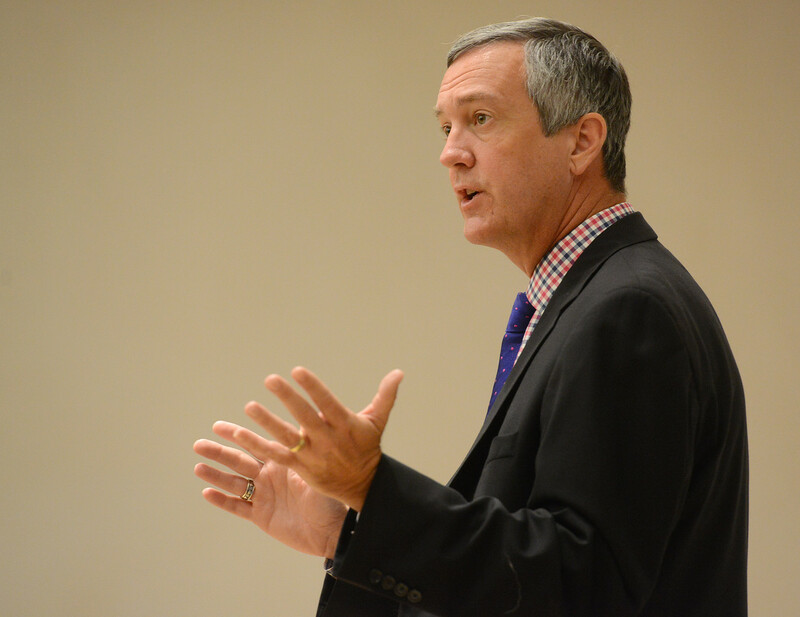 Tennessee Secretary of State Tre Hargett visited Belmont Wednesday, offering his perspective to Belmont students on the importance of voting as well as a thoughtful assessment on what Tennessee is doing well. “If you don’t do politics,” Hargett said, “politics will be done to you,” drawing chuckles from the students gathered in Beaman A for the “Global Citizenship, Leadership, Diversity and the Professions” convocation event. 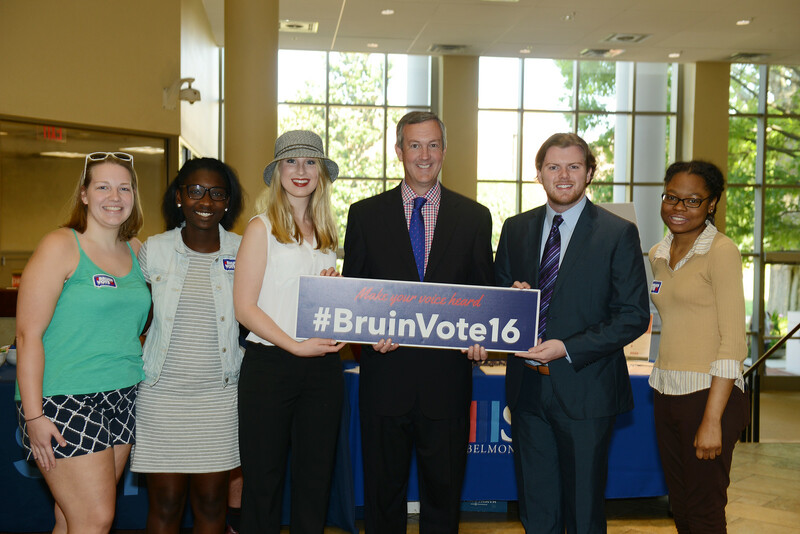 The appearance was one of many scheduled as part of Belmont’s #BruinVote16 fall series that’s intended to drive voter education and registration while also encouraging civil discourse. Hargett then combated the notion that many individuals have that their vote simply doesn’t count in the grand scheme of an election. He noted State House races that were decided by less than five votes as well as school board elections that ended in ties. Hargett also mentioned that his office works to ensure fair elections, noting problems in West Tennessee elections years ago when dead people were somehow registered to vote along with individuals who gave false addresses. After the talk, Hargett joined members of Belmont SGA at a table in the Beaman lobby set up to assist students who wanted to register to vote, regardless of whether they live in Tennessee or another state. Tennessee’s voter registration deadline is Oct. 11. Hargett was elected by the Tennessee General Assembly to serve as Tennessee’s 37th secretary of state in 2009 and reelected in 2013. Secretary Hargett is the chief executive officer of the Department of State with oversight of more than 300 employees. He also serves on 15 boards and commissions, two of which he is the presiding member. The services and oversight found in the Secretary of State’s office reaches every department and agency in state government.